Who Is Minecraft's Creator, the Man Known as Notch? When you associate a person with either Mojang or Minecraft, generally, that person would be Notch. Just who is Notch, though? In this article, we will be discussing one of the most important people in gaming history. Let’s get digging, shall we? Markus Alexej Persson (or more commonly known in the Minecraft community as Notch) is a video game developer from Stockholm, Sweden. The thirty-six-year-old developer was born on June 1, 1979, and was destined for great things from that point forward. Markus Alexej Persson changed the gaming world when he co-founded the company Mojang AB and created potentially the world’s most famous and well-known video games ever; Minecraft. When Markus was seven years old, his father bought a Commodore 128 computer and subscribed to a magazine specializing in computers. The magazine gave Notch various codes that allowed him to gain a small understanding of coding. By the time Markus was eight years old, he created his first adventure game. In the year 2005, Markus began working at King.com as a game developer. Markus worked at King.com for over four years. While Notch was working at King.com, he programmed many various games including a port of Zuma, the game Pinball King and many more. Notch learned many programming languages which have helped him create many games over the years. The languages were Basic, C, C++, Java, Actionscript, and Basic. Markus Alexej Persson released the alpha edition of Minecraft for PC in the month of May 2009. During Minecraft’s creation, Markus worked at Jalbum.net as a programmer while focusing on the creation of Minecraft. When people kept buying his video game, Notch realized that he should pursue Minecraft and put all of his time and effort into it. After Minecraft’s growing popularity, success, countless updates and various conventions, Markus Alexej Persson announced that he had resigned from his position as lead designer of Minecraft while handing the position to Jens Bergensten (Jeb). In November of 2014, Notch left Mojang after its acquisition by Microsoft for $2.5 billion. Since then, he has stopped helping produce Minecraft and has moved on in a new direction. While Notch may or may not feel as if he changed the world of gaming, many gamers around the world would disagree. Minecraft’s success can be noted as heavily influenced by Notch’s creativity, strive and willingness to continue to produce the game. 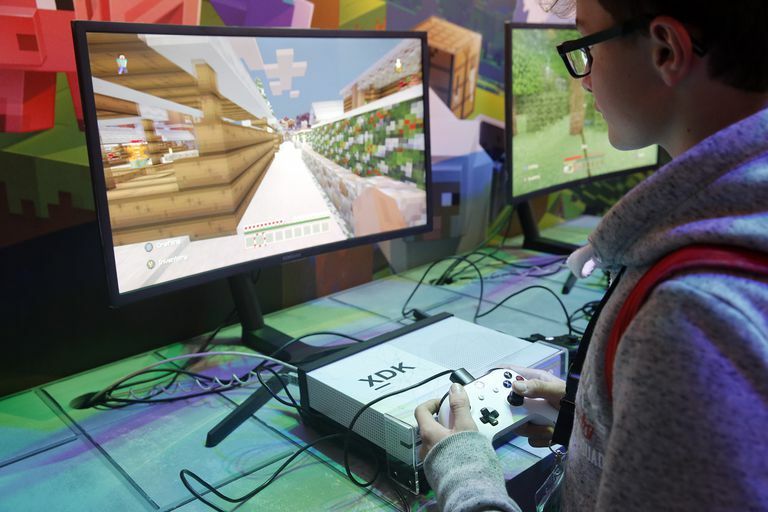 Without Notch creating Minecraft, the world of gaming would cease to be the way it is today. Minecraft has influenced our world, pop culture, and its vast majority of players one block at a time.